Eritrea is an African country bordering the Red Sea. They drink a lot of coffee and even perform a coffee ceremony when they have visitors. Kitcha Fit-Fit is a commonly eaten snack in Eritrea. Break the taita flatbreads into small pieces. Mix the berbere spice mix with the minced garlic, juiced lemon and the oil. Mix together and leave covered for about an hour. Serve with yoghurt to dip in. This was like nothing I've tried before. The spices were a nice flavour but were somewhat cooled by dipping the taita pieces in yoghurt. The strange thing about it was the texture of the bread, it was a bit swollen by the oil and soft to eat. It looks drier in the picture (and more appetising) and in the original picture I found it looks like the bread is crispy or fried. It's the turn of Canada this week and although I was tempted by several recipes it seems Poutine is the thing to try. Especially since my gravy success of last week (I tried a French Dip sandwich). Getting the cheese curds wasn't easy but we found a small independent cheese shop that sold them. I was disappointed with the cheese curds we got because most pictures of poutine I've seen uses big pieces and ours was all crumbled in small pieces. Cut up the onion and garlic then saute in a bit of oil. Make up 1 litre of stock. Add the butter to the onion/garlic pan and when it's melted stir in the flour to make a roux. Gradually add the stock, worcestershire sauce, balsamic vinegar, salt & pepper stirring well to make a smooth gravy. Cut up the potatoes to make chips/fries. Soaking them in cold water for an hour makes for crispier fries later. Deep fry the potatoes until golden brown. Sprinkle generously with the cheese curds. The gravy was delicious. I've never made gravy like this before, it was very thick and substantial. It coated the fries really well. It tasted quite spicy which went perfectly with the creamy melting cheese curds. I was pleasantly surprised by this dish and I can see why it's so popular in Canada. I think I'm a convert to gravy on chips at last. JD loved the gravy and once all the fries were gone he ate it on bread then just from the wooden spoon. The gravy recipe makes loads of gravy, too much really so I'd halve it if I made it again. Which I probably will. 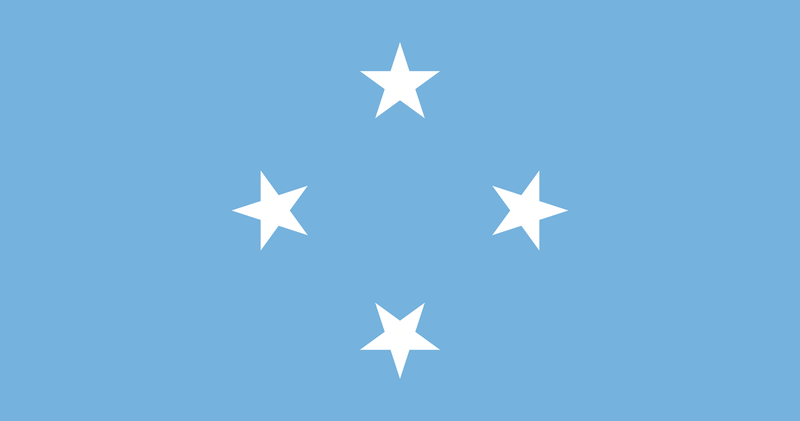 The Federated States of Micronesia is a group of islands in the Pacific Ocean. About 607 islands in fact. 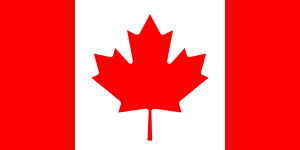 The islands are split into four states that are each represented by a star on the flag. Mix the soy sauce with the juice from the can of pineapple. Chop up the root ginger. Put the chicken breasts in a bowl and add the marinade made up of the ginger, pineapple juice and soy sauce. Cover and put in the fridge for at least a few hours or overnight if you're organised. Transfer to an oven-proof dish. Chop the onion and sprinkle it over the chicken. Do the same with the pineapple chunks and coconut. Bake in the oven for an hour and a quarter at 176C. Serve with rice.